Merry Christmas! 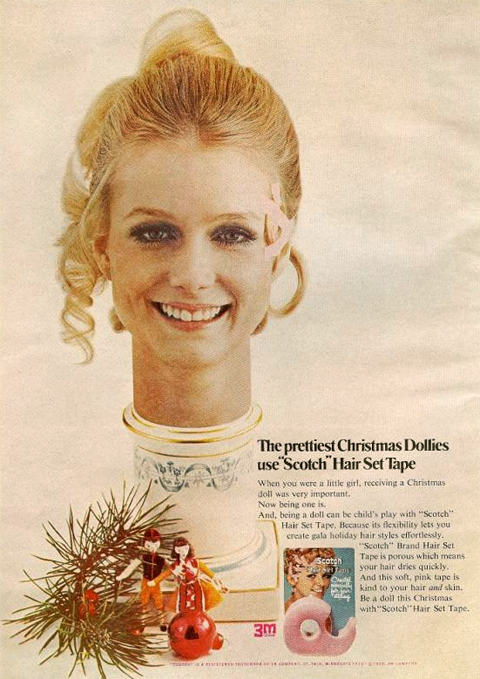 Here’s a disembodied head with tape in its hair. If anyone can explain to me what hair tape is and why it’s not a nasty prank, I’d be happy to hear about it. LOL! Looks like the poster of a horror B-movie to me. Agreed. Also, she has something on the side of her head --- possibly this mysterious hair tape --- that looks like a bandage and an extra ear. Creepy.